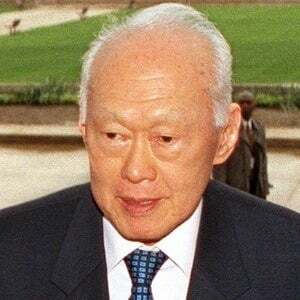 Politician who served as Prime Minister of Singapore and oversaw Singapore's separation from Malaysia. He helped found the People's Action Party, which won an unprecedented eight victories from 1959 to 1990. In the years after World War II, he studied at both the London School of Economics and the University of Cambridge. 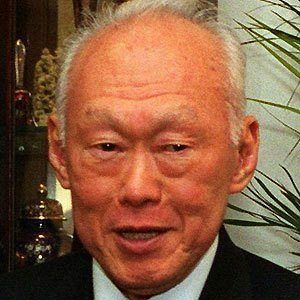 He served as Minister Mentor of Singapore from 2004 to 2011. 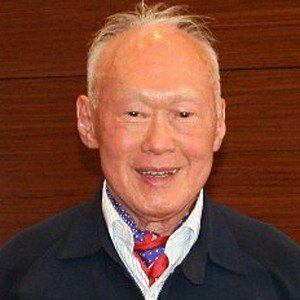 He had three children -- Lee Hsien Loong, Lee Wei Ling and Lee Hsien Yang -- with his wife Kwa Geork Choo. He was highly praised by Henry Kissinger.